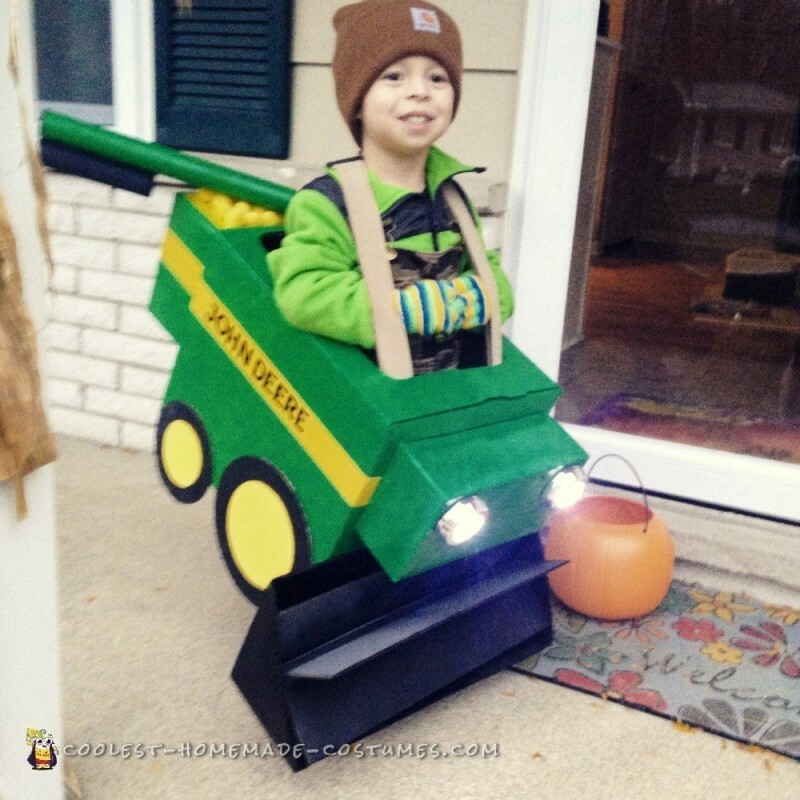 My son is in love with combines and insisted on being one for Halloween. 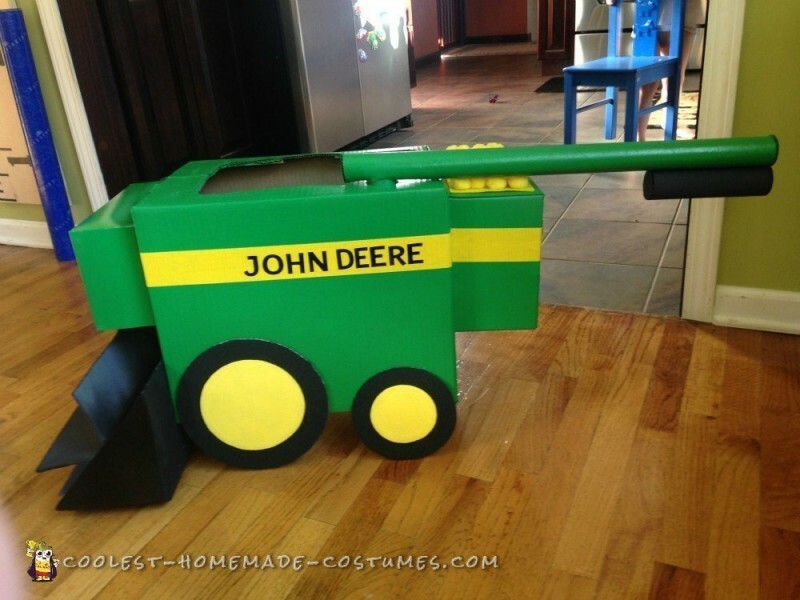 This John Deere costume was a fun idea for both of us to do together. We used a diaper box, shoe box and trash bag box for the body. The “unloader” was made with wrapping paper and toilet paper tubes. 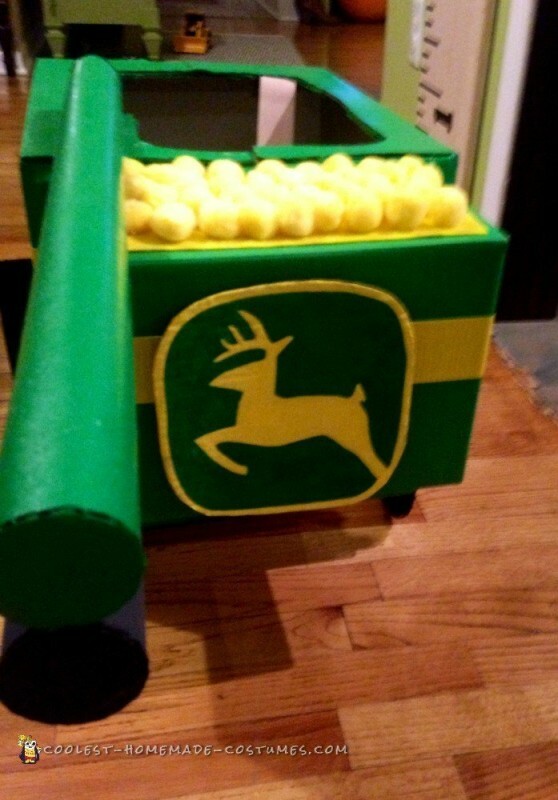 A piece of felt and yellow pompoms were used to make the corn on the top back storage bin. The front header was created with a baby wipe box and the left over pieces were glued in a circle to make the cutters for the header. I purchased John Deere green paint from Home Depot and used black chalk paint for the header. After the paint was dry everything was hot glued together. Suspenders were used to hold box on my 3 year old. Yellow duct tape was used for the yellow stripe down the sides. Battery push lights from the local dollar store were used for the headlights. Homemade costume idea posted by Kathryn S.